With my past two posts taking place in Disney's Hollywood Studios, it should come as no surprise that I am one of the few Disney fans who actually enjoys the park. 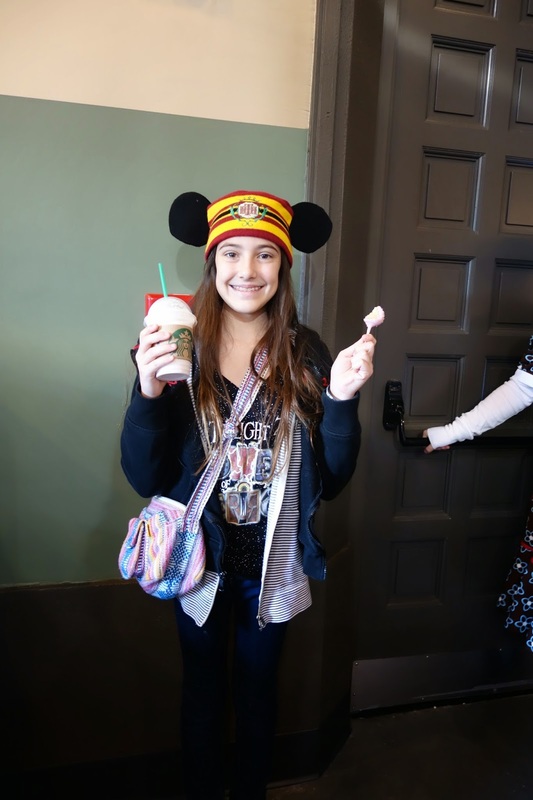 That said, my Tower of Terror obsessed niece Amelia and I were in said park on Friday night, and learned that the new Starbucks had offered a soft opening earlier that day. We arrived just after rope drop on Saturday, hoping to get in. We were SO excited when we walked up and were handed a dining coupon to enter. The coupons stated that they were good for one hot beverage, for another date, during a specific time. We figured we'd save them to use later. Amelia ordered a cake pop and a strawberries and cream, and I got my usual tall soy latte. So you can imagine my surprise when I held my phone out to pay with my Starbucks app and was told that everything was on the house for the soft opening! For some reason, they accepted just one coupon for the entire order, so Amelia kept hers in her purse for later. The costumes are very cute a period-specific. They kind of remind me of the costumes that the CM's wear in the Sunset Ranch Market. We returned a half hour later for more. This time, they made it clear that the coupon was good for either one food item OR one drink item. 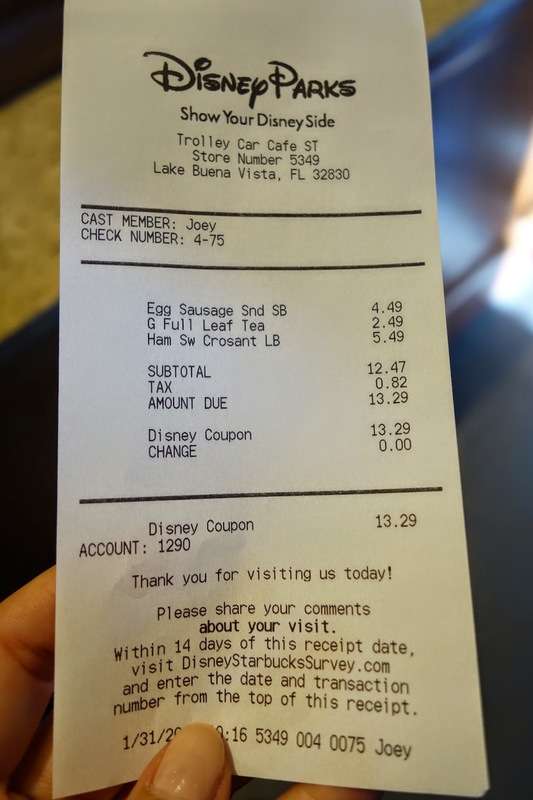 Amelia and I each placed an order for a breakfast sandwich. A CM then gave me another coupon (at this time, Amelia only had hers since I had used mine earlier). When we handed the cashier our sandwich ticket, I gave her my coupon as payment, and she accepted it for both sandwiches. Amelia then ordered a hot tea and 'paid' with her coupons. So we ended up getting overall six items for three coupons. Don't think it was supposed to happen that way, but we weren't complaining! Okay, enough with the story. 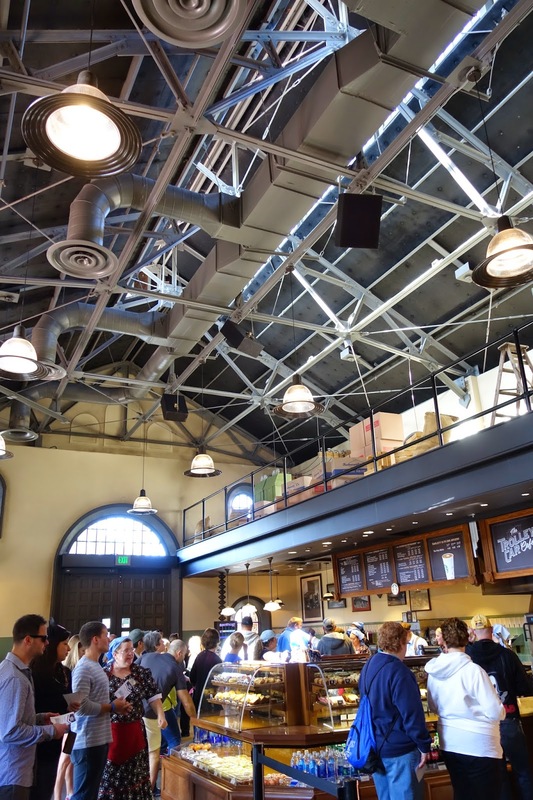 From here on out I'll post a bulleted list of what I learned about the new Starbucks location in DHS. * I heard two different dates for the grand opening- either Tuesday, February 3rd or Wednesday, February 4th. * Soft openings will be running until then. * Soft openings generally end around 2:00 or 3:00 in the afternoon. * The 'You Are Here' Starbucks- DHS mugs will not be available until the day of the grand opening. 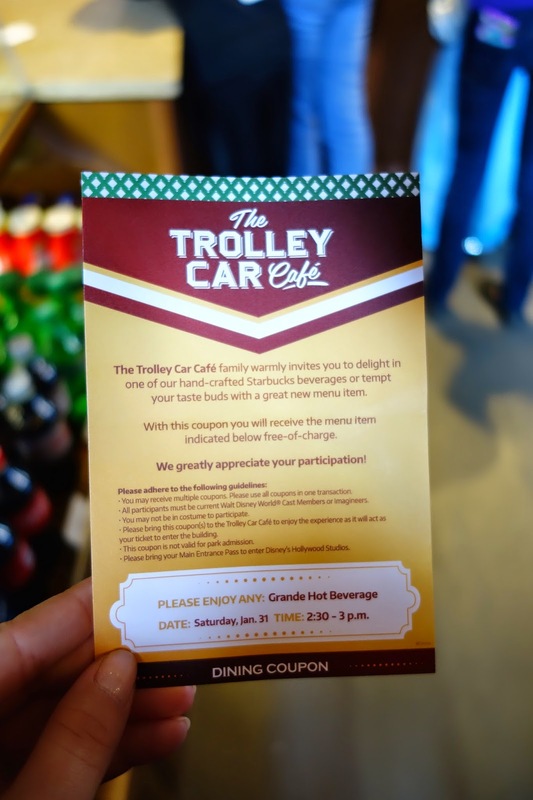 * Of course, the Trolley Car Cafe has a backstory. 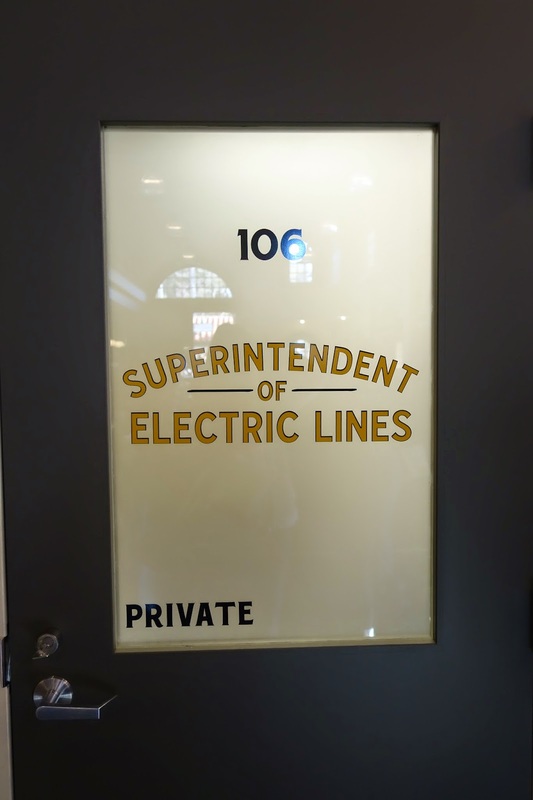 What was once a Pacific Electric Trolley station has been bought by a sweet older lady who resides in Hollywood. 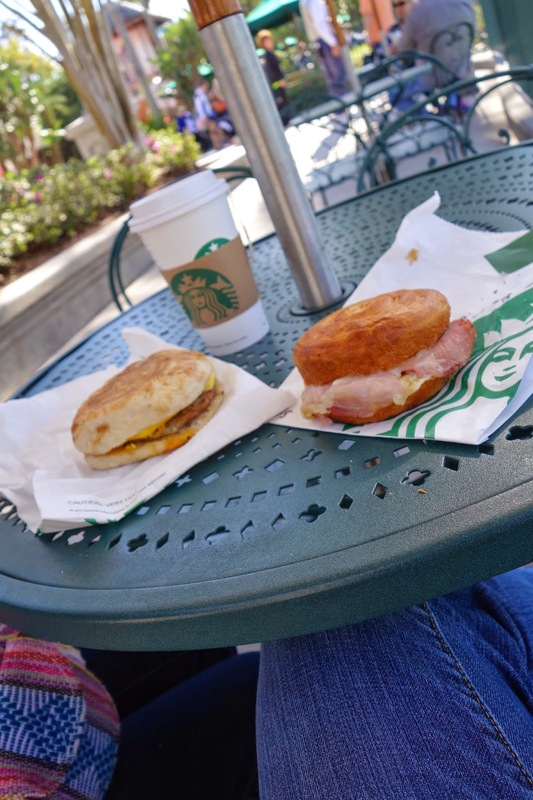 She had previously owned a small, family run coffee shop, and was looking to expand. 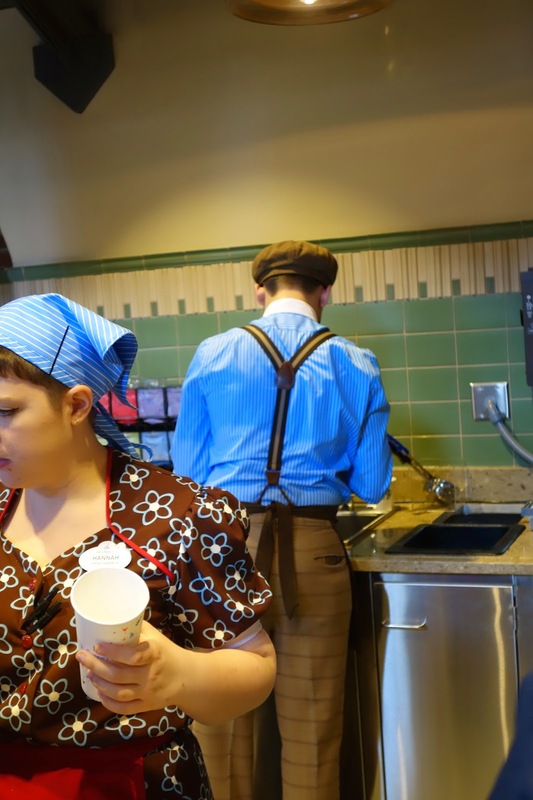 With the help of her many friends, she opened the Trolley Car Cafe. 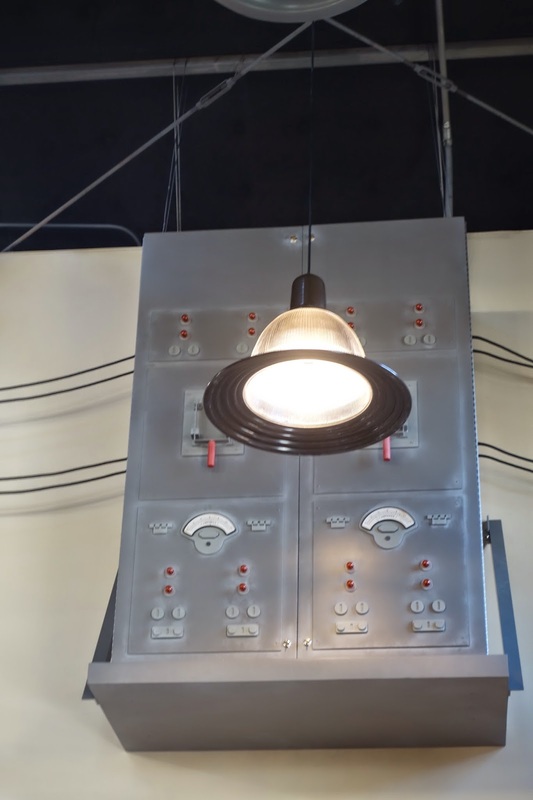 You can see a switchboard, a map of the trolley routes, and other warehouse details throughout. Upstairs on the catwalk are crates and boxes bearing the name of the previous small coffee shop. Close-up of the crates and boxes up in the catwalk. I believe the Schweetz reference is a nod to Vanellope von Schweetz, based on a Google search. I'll be honest and tell you that I haven't seen Wreck It Ralph though. The fella's costumes are quite dapper as well. 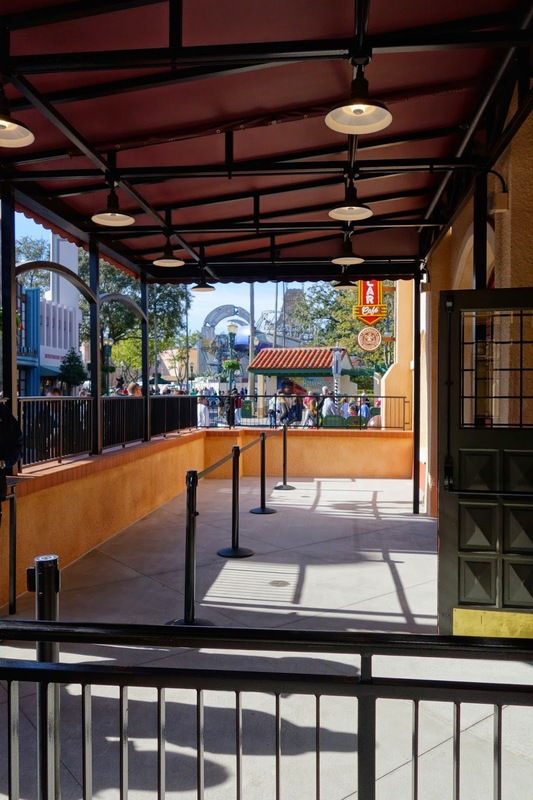 * What many of us speculated to be outdoor covered seating is actually just for queue overflow. I was so bummed to hear this, as I thought this corner of Hollywood and Sunset to be a perfect place to grab a cup, sit, and people watch. There might be seating added out back in the future. Patrons are being sent to Starring Rolls seating after 4 pm (when Starring Rolls closes for the day). Amelia and I made the short walk to the Echo Lake area and had our pick of umbrella-shaded tables and benches. What was speculate to be outside seating is actually just queue overflow. * Speaking of Starring Rolls, one CM I spoke with told me to 'visit it while I can' and implied that it would not be there for the long run. He explained that with Starbucks providing many of the options that Starring Rolls does, it will be phased out. I asked where the infamous cupcakes would be moved to, and didn't really get a straight answer. I know this will be a bummer for many people if it's true! The beloved Starring Rolls Cafe- are it's days numbered?! * A new Carthay Circle will be built in front of the Chinese Theater, and will house a restaurant like Disney's California Adventure. If this is indeed true, I wonder what will happen to the current facade of Carthay just down the way on Sunset Blvd, as well as the impact this restaurant would have on the Hollywood Brown Derby. 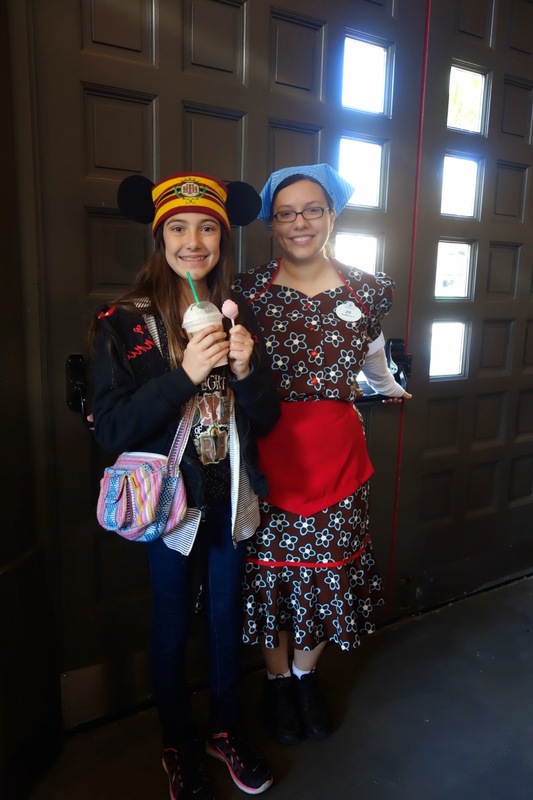 I'm glad the hat is coming down, and I'd love a Carthay Circle restaurant like the one in DCA- I'm just not sure I want the Chinese Theater to be covered, yet again! 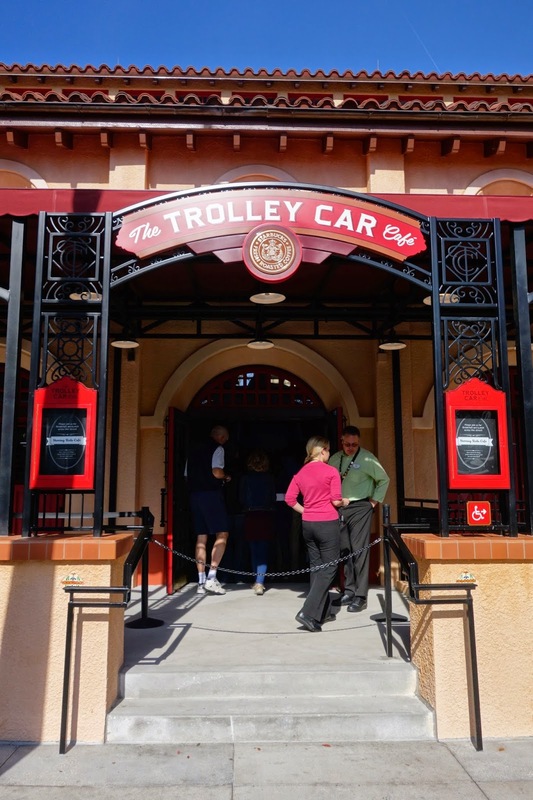 * The Red Car Trolley line will run actual trolleys up and down Sunset Blvd, and will extend out to Hollywood Blvd. 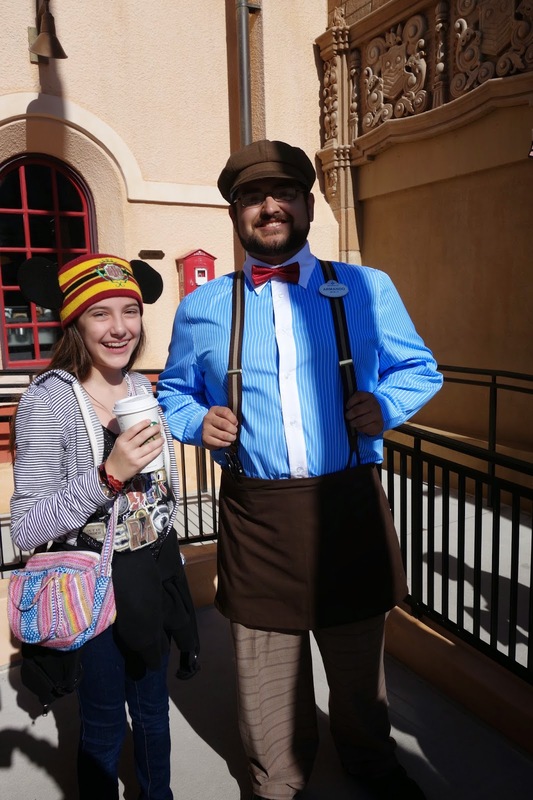 Again, reminiscent of Disney's California Adventure's Buena Vista Street. * The Great Movie Ride will be getting quite an overhaul; a current CM who works the attraction said they have to learn a new script, and that she was disappointed to hear about some of the changes to come and speculates that many Disney fans will be too. * I heard mention of a Monster's Inc ride back in Pixar Place, and of course we all know about the Star Wars expansion that's bound to come. So, what do you think? Any of this exciting to you? Saddening? Will this make you want to visit this particular park more? As always, let me know if there's anything you'd like to see featured. I'm more than happy to take reader requests! I just want that park to have some love. I know I'll get used to the changes and we'll live, especially since any love is good love for that park. Starring Rolls closing doesn't bode well for the cupcakes. I'm trying to think of another QS option for the cupcakes to move to that would be open in the AM besides Starbucks. I can't think of one, unless they create a cute option down in Pixar Place, which would be advisable. I don't care for the location of the little Joffery's cart there. I think the GMR will be fine. I see it more as an opportunity to educate the younger generations about great films. Also I'm under the impression that one will be a slow change, unlike the band aid that happened over at Malestrom. 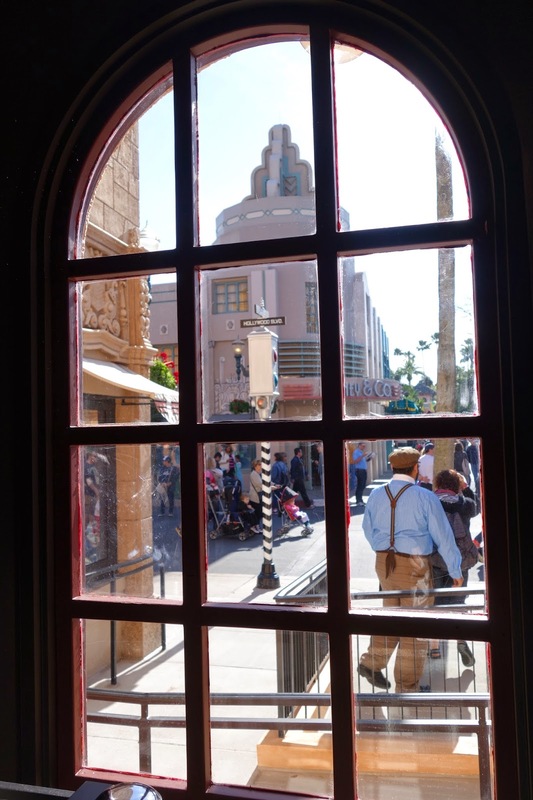 I am worried about the Brown Derby if Carthay Circle relocates there and is a restaurant. Great insights. I hope you're right about the slow change to GMR, and not the Maelstrom crap. I too thought about the Brown Derby if Carthay opens up right there-- I love the Derby, but also would love to see Carthay. Hmm. And I too am glad the park is getting the love it deserves; it pains me when people refer to it as a quarter day park, or blow it off altogether. But, I have the advantage of 'savoring' it as a local.